Children’s Day was celebrated through a host of activities. A glimpse of the life of Pandit Jawahar Lal Nehru, was showcased through a video and PPT. 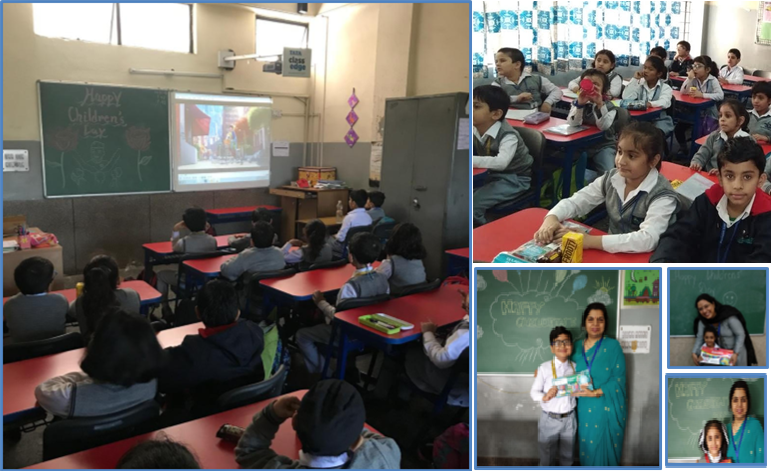 The Executive members of the Parent Teacher Association, Ms. Shashi Ahuja and Ms. Nidhi Marwah distributed biscuits and Frooti to all the students of Montessori and Primary Department .